Milagro Interactive recognizes its obligation to the wider community and environment. We strongly advocate and support community initiatives and continue to contribute our services and resources to projects that will in some way foster the betterment of human lives and the natural environment. Registered in the United States and India, Khelshala is a charitable organization that is committed to enhancing the future of underprivileged children through sports, education and extra -curricular activities. The Save our Snow Leopards campaign is an initiative by the World Wildlife Fund and Tata Housing Development Company to conserve the endangered Snow Leopard. 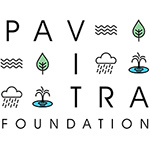 Pavitra Foundation was innovated to "Give Nature Back to Mother Earth" by cleaning and restoring India's precious water bodies.